Cranberry Sample One-Room Schoolhouse - Attractions | Visit Butler County Pennsylvania! Step back in time, to school days of 1874 with a visit to Sample School. 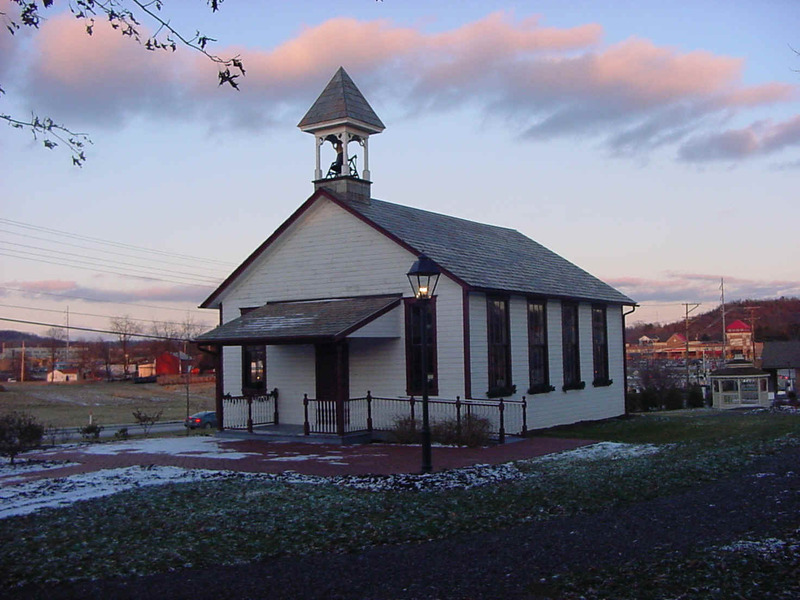 The Schoolhouse is located on the front lawn of the Cranberry Township Municipal Center on Rochester Road. This original one-room schoolhouse is one of six schoolhouses that served Cranberry Township. There were no cell phones, computers, Facebook, iPods, MySpace, IM or even writing tablets. None of the things students take for granted today. Students had to write on a piece of slate, thus the expression "starting out with a clean slate". Unlike schools today, which have classrooms and teachers by the dozen, the old schools had a single classroom and teacher. Cranberry Township had six such one-room schoolhouses evenly dispersed throughout the township. They were: Bear Run, Garvin, Graham, Sample, Hoehn and Johnston. Today only Sample remains. The schoolhouse is open to visitors in May, June, July, August and September on Wednesdays from 12:30 pm to 3:00 pm and Saturdays from 10:00 am to 12:30 pm. The school is closed during CTCC Community Days. A Docent will be on hand to answer all of your questions. Admission is FREE! Special tours for groups and/or wedding photography may be scheduled year round at $1 per head with a $10 minimum, schedule & docent availability permitting.